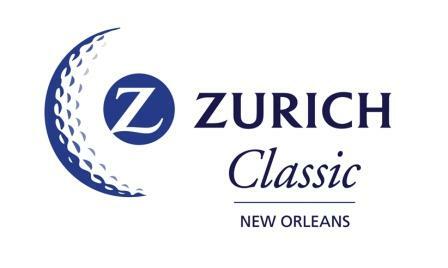 The PGA Tour takes place in Louisiana this week for the Zurich Classic of New Orleans Open. The field isn’t a particularly strong one however it should be an excellent event from a betting perspective. The talented American, Dustin Johnson is the bookies favourite at 8/1 and the Masters runner up Justin Rose is second in the betting with Jason Day not far behind him. TPC Louisiana is a relatively easy par 72, which plays 7,341 yards. Neither long nor short drivers of the ball seem to have a significant advantage around this track, which is unusual. The key appears to be hitting a lot of greens in regulation. The last four winners of the Zurich Classic, all finished the year ranked inside the top 25% of players in the greens in regulation hit statistic. Another stat which should help us find the winner this week is the strokes gained from tee to green statistic. From 2011 to 2014 14 players have finished tied third and better. Of those 14 players, only two of them have ranked outside the top 75 in the strokes gained from tee to green statistic. Justin Rose – Masters runner up, Justin Rose’s game is clearly in great shape as he finished 2nd in the Masters!! The field is very weak this week and I’d be surprised if one of the favourites didn’t win this event and hopefully that favourite is Rose. Rose is a six time winner on the PGA Tour and that includes a major championship. TPC Louisiana is clearly a course that Justin likes because he keeps coming back, this is the Englishman’s sixth consecutive year in the Zurich Classic. In Rose’s last three visits he has recorded top 15 finishes on each occasion and last year he tied for eighth position. It would be no shock if Justin Rose was to win this week and I’m more than happy to have him on side at 12/1. Daniel Berger – Daniel Berger is a talented American who has been excellent during his first full season on the PGA Tour. He has already recorded eight top 25 finishes and that includes a 2nd place finish in The Honda Classic last month. Berger maybe young, but these results suggest to me that he is more than capable of winning this year. TPC Louisiana isn’t a course that Berger has played before but it should certainly suit his game. He is a very good player of the par 5’s and is currently ranked 12th in terms of par 5 scoring average on the PGA Tour. Secondly he is ranked 36th in the greens in regulation hit % stat which is very relevant this week. I have no doubt in my mind that Berger will be in contention this week and 80/1 appears to be a great price. Martin Laird – At 90/1 Martin Laird is one of my favourite bets of the year. The Scotsman is a three time winner on the PGA Tour and has made a very good start to the 2015 season. He’s recorded five top 20 finishes this season and has made the cut in each of his last seven starts. Last week Martin tied for 51st position around a golf course which doesn’t suit his game and I’m expecting a much better result from Laird this week. Admittedly Laird’s course form isn’t excellent, although he did finish 24th in this event in 2009. TPC Louisiana is a course that Laird should excel around, he’s very good from tee to green which is key this week and he’s ranked 38th in approaches from 200 yards+. This is key because there are a number of long par fours and three par threes which player over 200 yards.